Rest Thy Fingers! Talk Instead Of Typing! When Siri came out with the iPhone4S we were all ecstatic. Imagine the possibilities of your own personal assistant to whom you can issue plain, common commands and she does them, performing admirably. Of course, this meant that you had to get the latest iDevice from Apple, so you’d shell out 500 bucks to be able to use Siri. But if all you wanted was to give your thumbs a rest from all that typing, then there are other options and they won’t force you to buy a new phone. 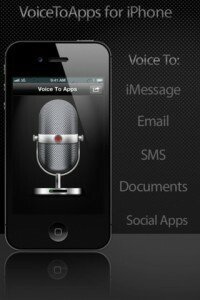 VoiceToApps is an iPhone & iPad app that will let you talk to apps instead of typing. Whether you want to send an iMessage, a SMS, write an email or post to Facebook and Twitter, VoiceToApps lets you use your voice instead of your typing fingers. Click here to get the bite on - Rest Thy Fingers! Talk Instead Of Typing! Is your email password the same with your Facebook login password and perhaps even your Twitter account? If you use the same password for your dozen or so accounts on the interweb, then you’re exposing yourself to a lot of security risks. 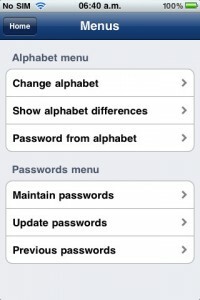 Even more so if your password is something like “password” or “password1234” or any of the worst passwords that the year 2011 has seen. There are great ways to remember your passwords and a handful of guides to help you create a bullet-proof one for yourself without the risk of forgetting what it is (here’s one of them). Our iPhones aren’t just devices that we use to call other people. They are sources that can sometimes reveal more personal information than we would like do disclose. But now, you can choose exactly what information on your iPhone you don’t mind sharing with other people, and what you want to keep to yourself. All you need is MediaSafe. And you can have it with a single download from the AppStore. 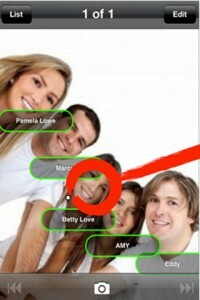 MediaSafe is the app that allows you to choose which photos, videos, contacts and notes you want to keep private. 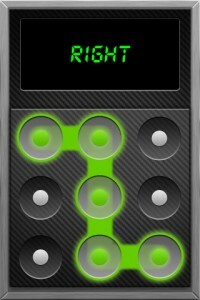 Once you start the app, just slide your finger on the screen, and create your own dot-lock code (very Android-like). It’s easier to remember than a four-digit code and it makes unlocking the app way more fun. Now, all that’s left for you to do is start adding the pictures, videos, contacts and notes that you want to keep to yourself. We’ve reviewed remote access apps before and although they all ultimately do the same thing, it all comes down to ease of use, reliability and security. And UniQXcess passes the tests with flying colors, save for a few exceptions. UniQXcess lets you set up any PC running the UniQXcess server to be accessible from your iPad, provided that you download UniQXcess from the AppStore. The setup process is painless and very intuitive on both the iPad and the PC. On the iPad, you need to download the app and create your free account by providing your email and choosing a password. You can then start using the app, even without installing the server. The iPad app can connect to your Dropbox account and you can view your files from right within the app. 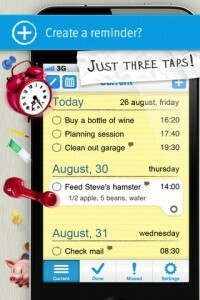 When it comes to reminders, you are faced with a lot of options. With the AppStore being flooded with apps whose main purpose is helping you remember the things that you need, is there any room for another similar app? Well, HeadFinder is here to prove that there’s always room for a reminder app in the AppStore, as long as it brings something new and useful to the table. Remember when you were little and your mom used to turn off the lights to force you go to bed? Well, I bet that you never listened and most of the time, you wound up falling asleep with your flashlight on, reading your favorite magazines. And although you’re all grown up now, there are still some situations when you can’t control the lights from being turned off, whether it’s a blackout or your roommate decides to leave you in the dark, because he wants to sleep. 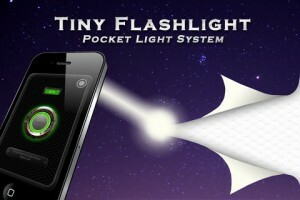 And now, the closest store where you can find a Tiny Flashlight is the AppStore.